With my son up on Mount Seymour for a birthday tubing party, it left the rest with 3 hours to kill. Well what did you think we'd do? Eat of course! 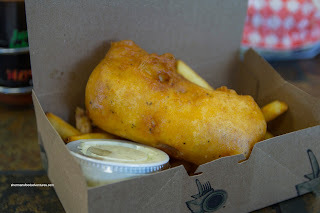 Rather than heading over to Lonsdale, we decided to head down to Dollarton Highway in search of fish n' chips. Where you might ask? Well, way back when, there was a little place called The Crab Shack. 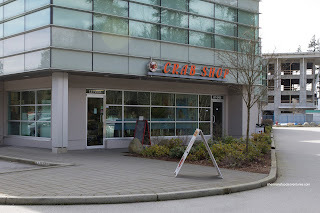 They moved a few years ago into an business complex closer to the 2nd Narrows Bridge. In addition to serving fish n' chips, crab sandwiches and chowder, one would find an actual seafood store itself. Great way to have fresh stock on hand. 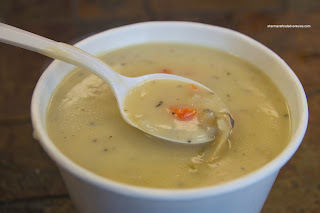 We started with the Clam Chowder which was more floury thick rather than creamy. However, it did taste like the sea while having a good balance of flavours. There wasn't an absence of ingredients per se, but the veggies were diced up far too small. In essence, it felt like we were eating a sauce rather than a hearty chowder. Viv opted for the Cod & Chips which was nicely prepared. 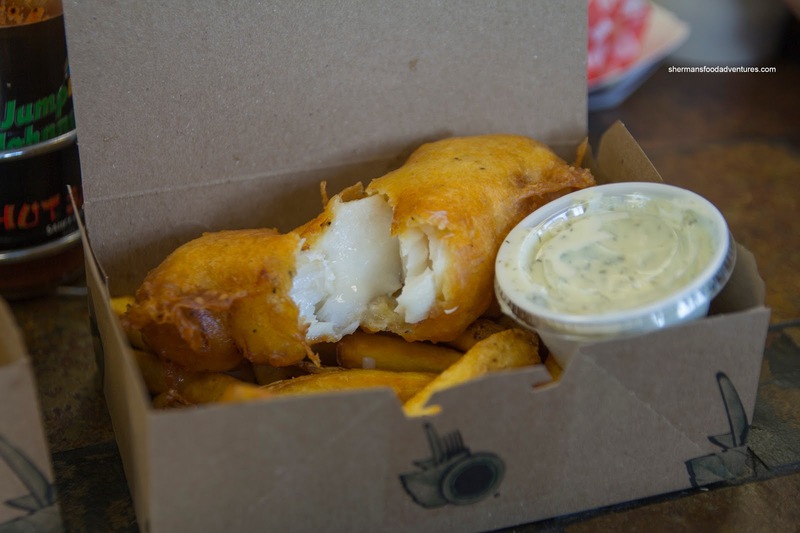 The cod was barely cooked where it was flaky and had a slightly rebound texture which indicated its freshness. The tempura batter was neither too thick nor too thin while being aggressively seasoned. The fries were a touch generic-looking, but in the end, were fried very crispy. Despite lacking in tang and crunch, the tartar sauce was creamy with a good hit of dill. For myself, I went for the Halibut & Chips and it was fantastic. Knowing how halibut can be easily overdone, this was cooked beautifully. The fish was flaky and super moist. And of course it was fresh as well. 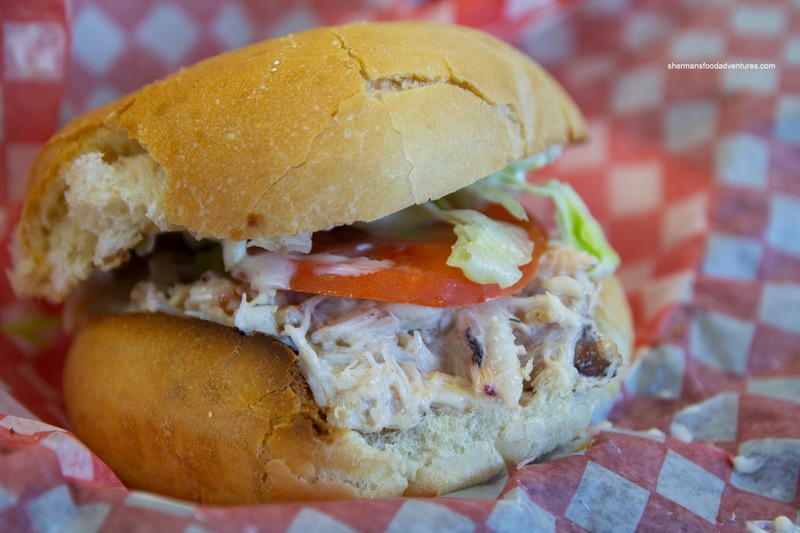 Being named The Crab Shop, we couldn't get out of there without trying the Crab Sandwich. First and foremost, I need to compliment them on the use of an excellent choice in bread, which was toasted just enough for a nice crunch to contrast the fluffy crab meat. And about that crab meat, it was fresh with a bouncy texture. There was a good amount of it, tossed in slightly too-much-mayo with tomato and lettuce. What really made the sandwich was the aforementioned bun. Overall, it was a pretty satisfying meal in a neat little place tucked away from the regular high-traffic areas. It's worth checking out in you are ever in the area.